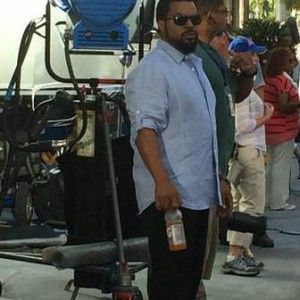 Last week, the ‘Ride Along 2’ movie crew was filming a scene for this comedy sequel to “Ride Along” smack under the TALK Miami English School which faces on Brickell Avenue. The scene has Ice Cube and Kevin Hart in a yellow Lamborghini Huracan speeding down Brickell Avenue in downtown Miami. “Ride Along” had a record- breaking opening when it debuted earlier this year. 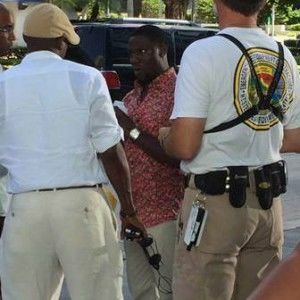 The sequel sees the return of stars Kevin Hart and Ice Cube as a security guard and an Atlanta cop, respectively. 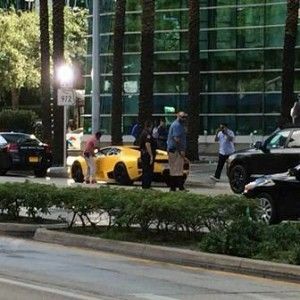 The scene, one of many filmed in South Florida, took place last Wednesday outside TALK Miami and there front and center were the two lead actors – Ice Cube driving, with Kevin Hart in the passenger seat – in the Lamborghini supercar in front of the prize-winning building Espírito Santo Plaza in the heart of Miami’s Financial District. As the high-rise is directly opposite TALK Miami premises, Valeria Quatrini, Assistant Director at TALK tells us that it was like having front row seats at the movies, as TALK staff and students witnessed the crew setting up takes for the Ice Cube and Keven Hart driving scene throughout the day. “Ride Along 2” drives into theaters on Friday, January 15, 2016. Meanwhile you can watch our movie here!